It has been said “the more the merrier” regarding Thai sauces on the dining table as an indicator of the authenticity of the food. As you mix and match sauces; the tastes of the dishes differ. The sauce makes a vital difference in the final flavor of any Thai food. Sauces are traditional seasonings. The Thai dipping sauces work towards complimenting the condiments to the food. That is why in snacks, noodles, rice and entrées; sauces have a decisive contribution. Thai people love to maximize the intensity of flavors in their food. • Prik Naam Pla (fish sauce): A universal sauce that goes with rice dishes. • Prik Naam Som (chili & vinegar sauce): This is for flavoring noodles. • Naam Prik Pao (roasted chili paste): This is used in a variety of dishes including stir fries and soups. • Aa-jaad (pickled cucumber salad): This is great dipping sauce for fried fish cakes, satay and fried appetizers. 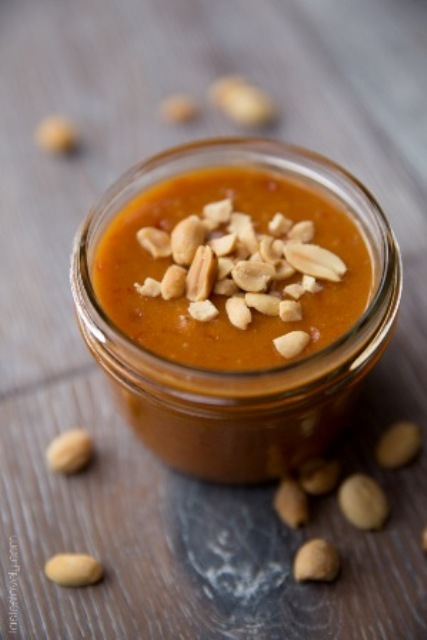 • Naam Jiem Saate (peanut sauce): Very popular sauce even outside Thailand used for dipping Satay and flavouring pizza sauce, pad Thai and other dishes. • Naam Jiem Talay (Seafood Sauce): This is best for all seafood dishes with its distinct flavor coming from a combination of tastes such as sour, salt and sweet elements. 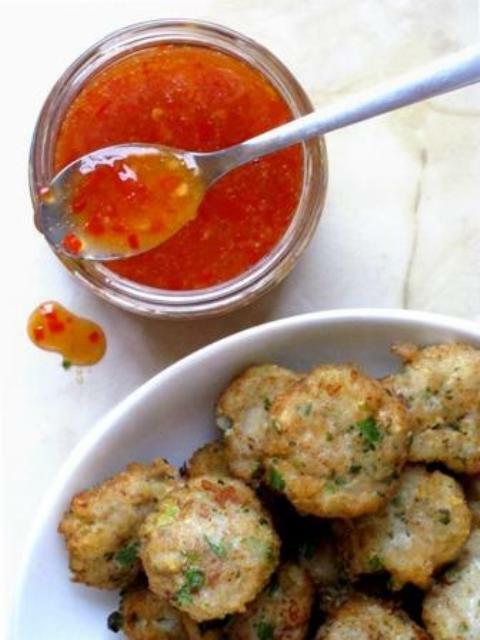 • Naam Jiem Seir Rong Hai: Good for fish and meat dishes to be served as dipping sauce. It contains fish sauce, soy sauce, lime juice and chili pepper. • Naam Jiem Buoi (plum sauce): This is popular among kids and people who cannot handle spicy food. It is ideal for fried dishes. • Jig Choe (vinaigrette soy sauce): This is good for making hot and sour soup and as dipping sauce for pot sticker and Dim Sum. 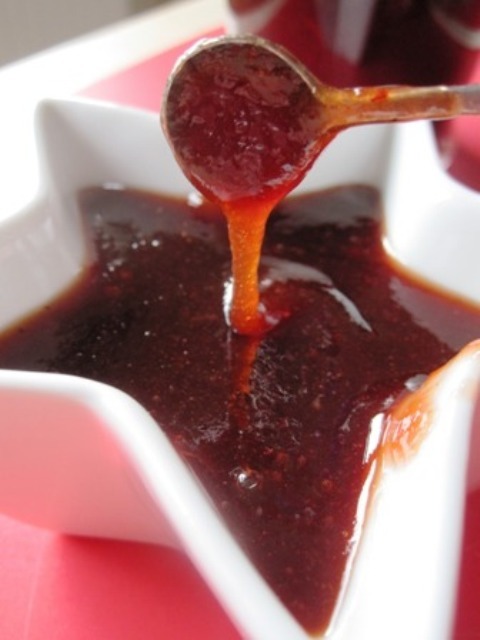 Plum sauce: It is a multipurpose condiment served with all major Thai appetizers such as spring rolls, shrimp rolls, corn patties and golden bags. 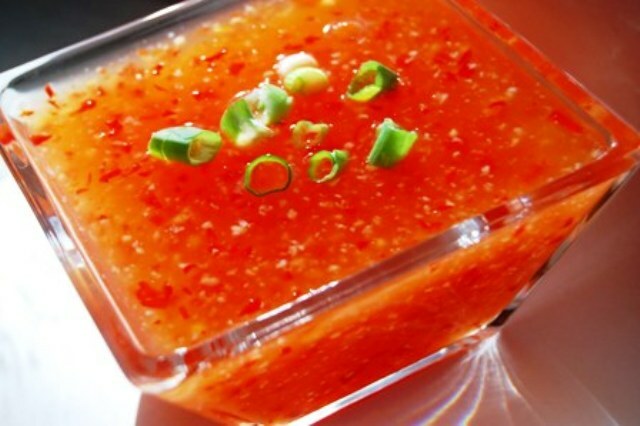 Cucumber salad: It has sliced cucumber, shallot and sliced chili in a vinegar solution as sweet sauce. This is served with satay and yellow curry. Dipping sauces not only enhance the savory taste of Thai cuisine but they also moisten the morsel very well. Sweet and sour sauce will help dampen the richness of curries and dipping sauces can be seen accompanying all vegetables and seafood. Thai dipping sauces are based on soy sauce, fish sauce and rice vinegar. To learn more about the amazing role of sauces in Thai cuisine, eat healthy Thai food at the best Thai restaurants and have a completely new experience about delicious Thai food.